The Front Page Sports series encompasses a range of sports from baseball to golf to football and even fishing but have never really managed to capture the attention of a wide audience in a way like EA's John Madden series or the Hardball games have. 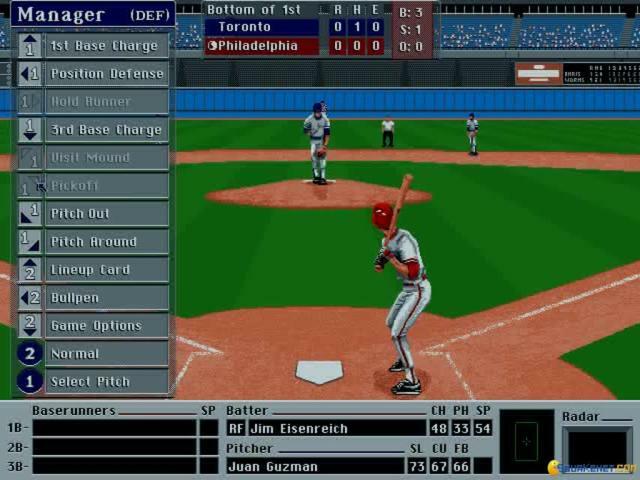 This baseball sim offers a decent recreation of the sport but is definitely a less than must-play experience. 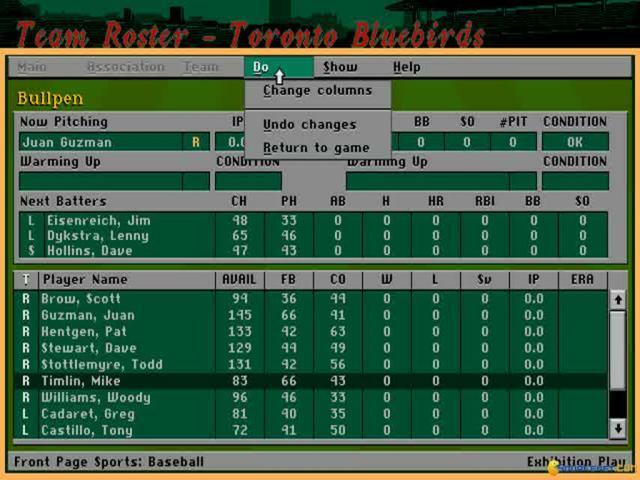 You've got a wide enough range of options to choose from, with the ability to play as coach or manager as well as on the pitch itself, while there's also loads of detailed stats representing the players and teams of the time which should please dedicated sports historians. 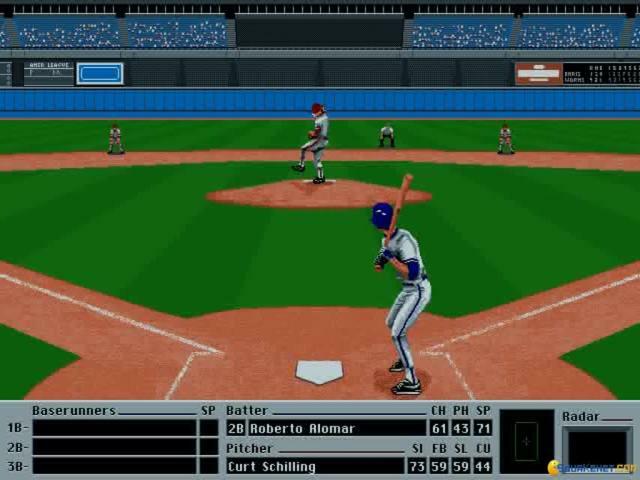 The game also makes use of a detailed physics system to replicate ball movement accurately while you have a selection of over twenty real world pitches to play in (although to be honest this doesn't make a lot of difference). 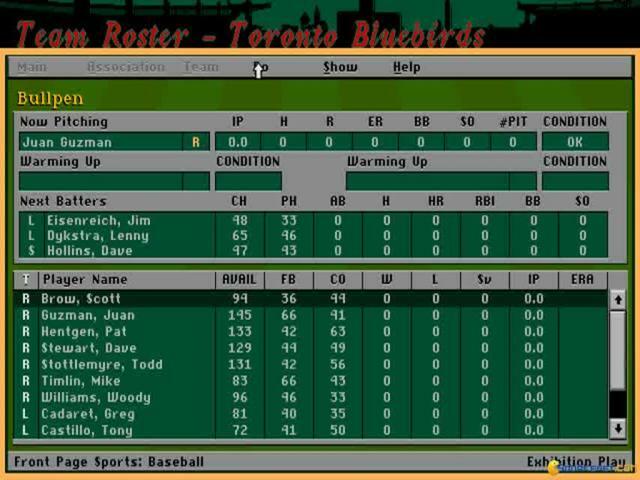 If you are a baseball fan, this is worth a look and in its management sections it actually proves more entertaining than the actual playing thanks to a few significant shortcomings in gameplay. It does get reasonably gripping when you're watching your carefully put together team on the pitch and thus recreates the real sport quite well. 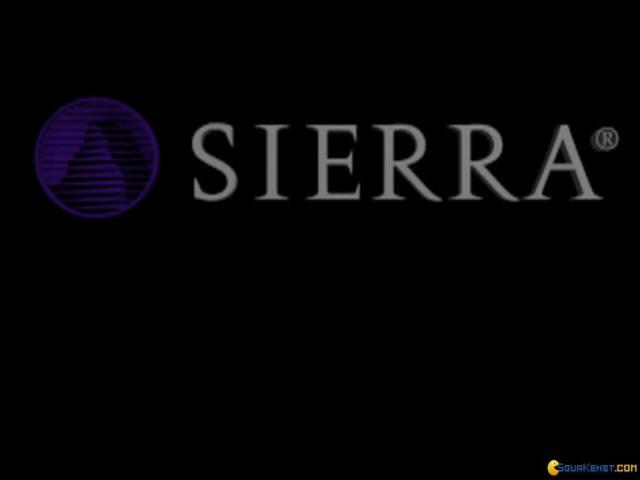 The visuals aren't bad, with large, chunky sprites that are well enough animated while the sound is the usual collection of ball noises and background effects and overall the game is atmospheric. 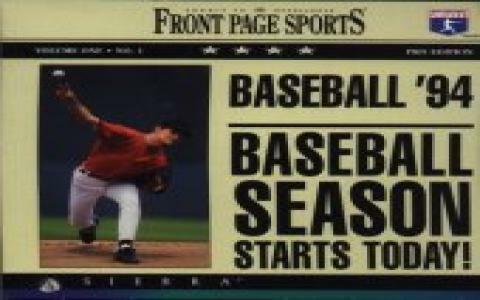 However, unless you are a die-hard baseball fan, it's not really much to get excited about and it's certainly not going to convert you. 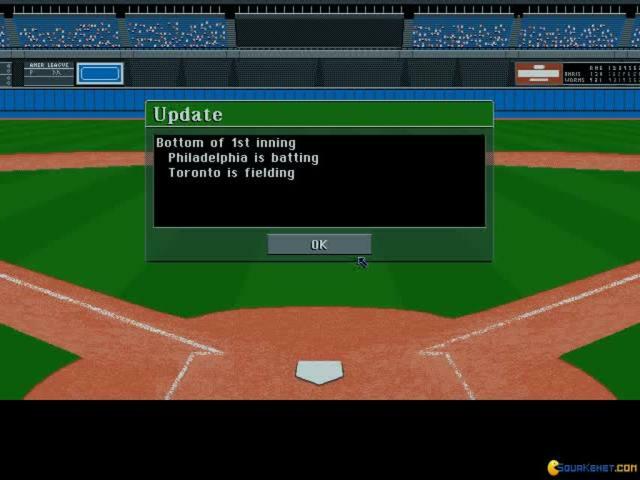 If you need another baseball sim in your life, it's worth a look but don't get your hopes up too high. 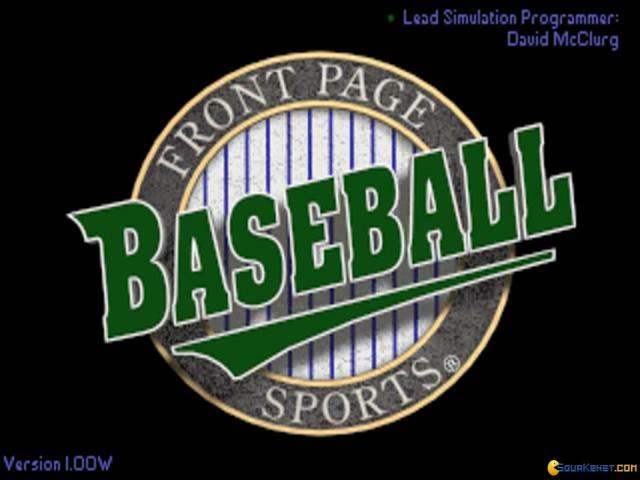 Basically, Front Page Sports: Baseball Pro '95 is a game that offers you a good arcade with elements of simulation baseball game, nothing to go crazy about, but also nothing to drive you away from the get go. 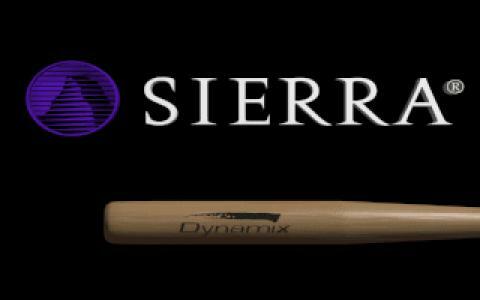 The developer, Sierra On-line was by no means an expert in sports simulations but over the years they did produce a few, which were not half bad. Therefore, don't expect something that will blow you away, but a fair, of the era like game. 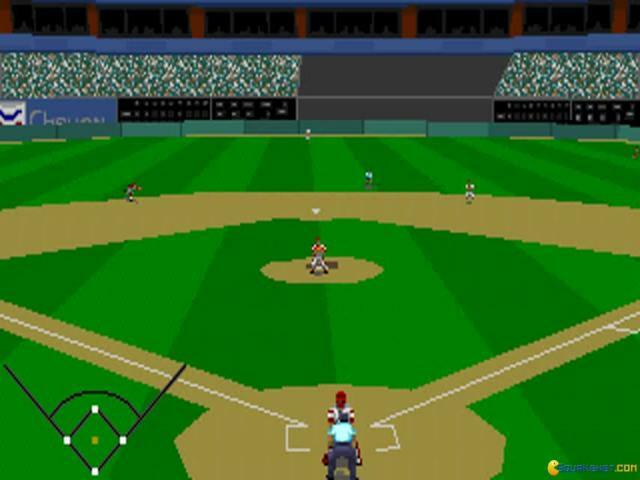 Starting off, the playing field and player interactions are well drawn and animated just properly. 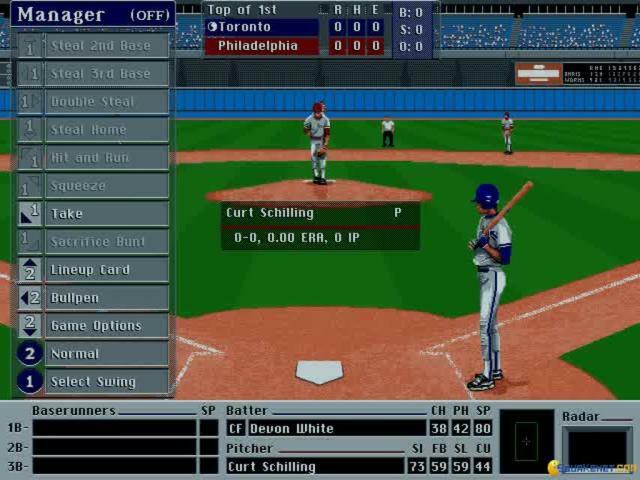 The ball physics don't seem to stem from a physics engine, but that is ok. You will be more concerned about the rate of your pitches, which might not always manage to convince you that is entirely your fault. Most of the chance/luck of the strike elements of the game feel a bit out of your control, and so, you won't feel like investing some serious time with this game. 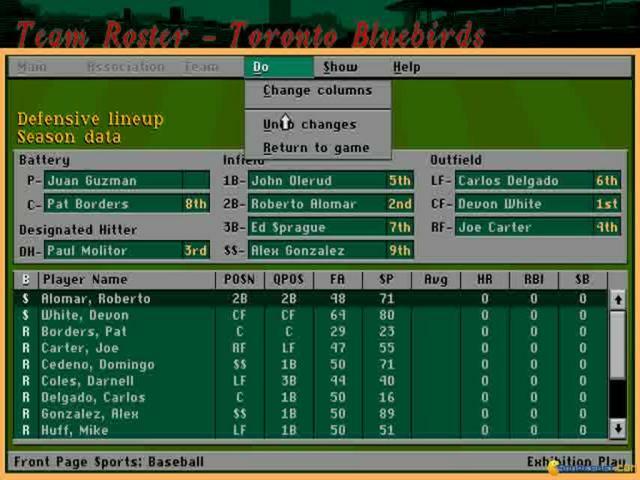 However, for a good few minutes or hours just for history's sake, the game won't feel half bad. 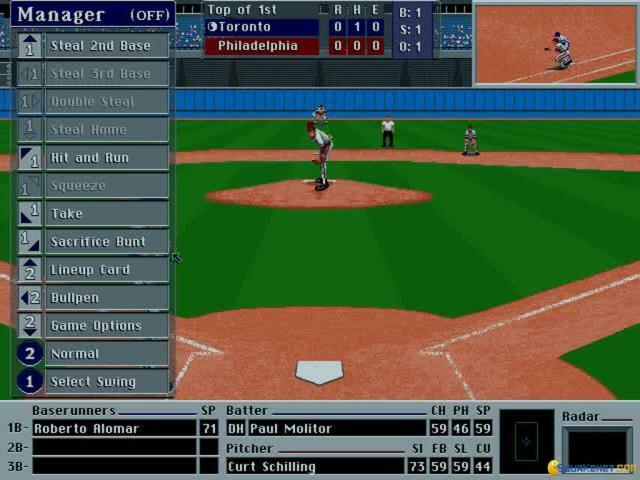 But this is the condition of the sports sims, the later are always better, and only few of them make it through the race in time they're always against.